UNESCO Chair in Artificial Intelligence | Knowledge 4 All Foundation Ltd. The Chair will study Artificial Intelligence as a driver and component for solutions and strategies to assist the achievement of the SDGs. It will contribute to the way information can be intelligently assimilated and utilized across a range of sectors and services, and drive AI to follow a development course. The project focuses on AI at the national (or regional) level and will offer evidence and guidance ranging from AI research methods, use cases, deployment, exploration, exploitation and operability, applied to all SDG sectors. The implementation, impact and creation analysis of AI initiatives are line with agendas pursued other UNESCO Chairs. It will create an AI research agenda and technology roadmap, and a series of AI deployment scenarios in specific contexts. The Chair will embed the values of ethics, well-being, peace and human rights within AI, how stakeholders and policymakers can best utilize AI, taking advantage of its benefits and minimizing risks. 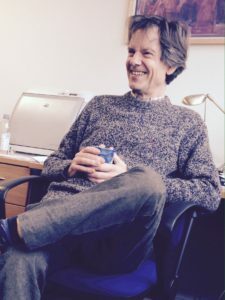 John Shawe-Taylor has the role of Chairholder and is already working with the Knowledge Societies Division, CI sector of UNESCO to prepare a mapping of the AI ecosystem in emerging economies. He was also indtrumental in designing with the K4A team a challenge for the 2nd World Open Educational Resources (OER) Congress named “Artificial Intelligence for solving SDG 4” and organized an accompanying event at the Congress on the same theme with several other Chairs. We are at the threshold of an era when much of our productivity and prosperity will be derived from the systems and machines we create. We are accustomed now to technology developing fast, but that pace will increase and AI will drive much of that acceleration. The impacts on society and the economy will be profound, although the exact nature of those impacts is uncertain. We are convinced that because of the UK’s current and historical strengths in this area UCL is in a strong position to lead rather than follow in both the development of the technology and its deployment in all sectors of industry, education and government. Artificial Intelligence describes a set of advanced general purpose digital technologies that enable machines to do highly complex tasks effectively. AI is not really any single thing – it is a set of rich sub-disciplines and methods, vision, perception, speech and dialogue, decisions and planning, robotics and so on. We have to consider all these different disciplines and methods in seeking real solutions in delivering value to human beings and organizations. AI was viewed as a set of associated technologies and techniques that can be used to complement traditional approaches, human intelligence and analytics and/or other techniques. Availability of increasingly powerful computing capacity. This is UNESCO’s single such Chair with this remit. It’s not copying other Chairs, but has a unique remit and identity, which will complement other UNESCO Chairs in the area of Data Science, Analytics and data and open technologies for Open Educational Resources. It has a clear interdisciplinary and intersectoral dimension: it transcends several of UNESCO’s programmes: education, communication and information, freedom of expression (fake news), media development and universal access to information and knowledge, and especially science for peace and sustainable development. The Chair is established at the University College London in the United Kingdom (UCL), London’s leading multidisciplinary university, with 11000 staff, 35000 students and an annual income of over £1bn. University College London in general, and John Shawe-Taylor in particular is already a leading party in a European and a global network of partners collaborating in Artificial Intelligence (AI). This includes Knowledge 4 All Foundation Ltd. (K4A), together with a selection of a number of top ranked research institutions involved in European FP7 and H2020 research projects and consortiums from projects such as NeuroCOLT, PASCAL, PASCAL 2, KerMIT, CompLACS and most recently the X5GON, based on institutions consortiums. Starting with 2 case studies in education and health: defining sustainable processes and structures (governance, access, business models, licensing, etc.) as well as developing a suitable software infrastructure (APIs and tools to aggregate existing tools and algorithms and to make them easily deployable in applications, as well as to access data and computing resources). Collect data from available data sources to create an infrastructure to ingest, process, analyze, aggregate and enrich specific-domain data, for specific SDG challenges. This infrastructure will scale to large amounts of data, starting from the education based project (in the millions of OER audio, video and animation, curricula, syllabi, lecture notes, assignments, tests, projects, courses, course materials, modules, textbooks, tests and datasets) that will form the basis for the algorithms to mine, represent, reason upon and use this diversity of information. This would be society agnostic, but would include the countries which are already OER adopters. As argued before, the core partnership lies with research institutes and partially universities. They are in the countries listed above. Not all countries, however, are represented in our network. While they still can be included in individual projects or as object of study, and certainly in the dissemination activities. In addition, it will also provide a test bed for other researchers outside the AI domain who might be interested in accessing the data processed and produced in the project. Access to the data sets and its metadata will be provided via a Web-based API, which will furthermore allow publishing new data sources. Including researchers, businesses and start-ups to provide access to knowledge, algorithms and tools for achieving SDGs. The increasing capability and use of machine learning, the rising creation of augmented reality content, and the changing capabilities and uses of smartphones have broad potential to contribute towards the SDGs. Among the national/regional AI case studies in relation to the variety of contexts, convert these into a context dependent multi-facetted framework of best conditions and guidelines for implementing an AI strategy at the national (or regional) level, and derive a set of AI scenarios fit for specific contexts. Analyze the educational, economic and societal impact of the national / regional AI case studies, advise on new requirements for machine learning and educational environments, and develop context dependent business models, explicitly taking into account societal benefits. That has been created and derived in the project, more specifically provide good and bad practices, underline the contextual dependence, and give guidance and basic support to new national (or regional) AI initiatives. With instruments as visiting professorships, joint research projects, scholarships for PhD students the project will provide opportunities and support to the capacity building of partners in different regions. The two initial case studies are SDG3 and SDG4 where two projects are running; X5GON and Malaria Diagnosis. Artificial Intelligence technologies are being developed and “marketed” for educational and healthcare use since decades but a large implementation gap exists. There is a slow adoption rate of technologies in education, because of mismatch between real needs and supply. The lack of use of technologies is particularly affecting the primary and secondary education. There is a need for building the evidence base for more effective learning with technology. This will go hand in hand with tools and processes for collecting, storing, exploring and reasoning on large-scale educational data We will collect “big data” from students’ technology supported learning activities, transforming the data into information and producing, recommending actions aimed at improving learning outcomes. Prototypes to measure feedback and analysis of contexts, processes and environments. In order to have feasible research data, a real-life and functional ICT based network. AI is expected to contribute to advances in the data collected that will deliver the smart tools and analytical techniques required to generate actionable information from large and diverse datasets. Development of AI platform, joint or single business plan, exploitation of results, investigate service models, clustering and liaison, active community building and standard means of dissemination (presentations, publications, events, meetings, data exchange). The main visibility objectives of this project are to make scientific, industrial and educational communities aware of the project and its results; to disseminate project activities and results in related fields or application sectors. Additionally, to build a community around both AI project results and actively maintain a communication channel to its members. The project will follow a dissemination and community building strategy and will ensure that the technology deployed and data collected and created within the project are available beyond the end of the project. It will actively communicate with communities outside of the project, collect their feedback and involve them in the software development and research activities. Supervision, training of PhD and other research staff interested in computer science and technical aspects of AI. We recognize the need for researchers to work with large-scale data and we encourage them to develop collaborations with users to facilitate this exchange. We also encourage them to explore alternative routes to access sufficient computational resources (e.g. use of commercial clouds). However, the Chair will not try to imitate industry, and will focus on AI opportunities not yet identified by industry or not yet commercially viable. Sharing and promoting best practices, case studies, prototypes and research results. Here we define two types of research projects. The first type (Type A) reflects the research program of the AI Chair and therefore has its focus in AI and for SDG3 online learning for OER and SDG4 healthcare, underpinned by advanced knowledge and context technologies. These research projects will be supervised under the AI Chair. The second category (Type B) is a set of ongoing H2020, Erasmus+ research projects involving University College London in a variety of AI related subjects these include: learning and adaptation; sensory understanding and interaction; reasoning and planning; optimisation of procedures and parameters; autonomy; creativity; and extracting knowledge and predictions from large, diverse digital data. These applications of AI systems are very diverse, ranging from understanding healthcare data to autonomous and adaptive robotic systems, to smart supply chains, video game design and content creation, and will be connected to the AI Chair in order to enhance synergy with UNESCO Chair in Analytics and Data Science in the overall AI research agenda at University College London. The AI Chair is fully involved in these (Type B) research projects. In the first year and part of the second year the research activities (Type A) will build on ongoing H2020 research projects (Type B). At the same time University College London will bid and develop new research projects under the Horizon 2020 research program and the research program of the AI Chair and in collaboration with the other partners listed in c. partnerships/networking (Type A). The Chair will address the topic of AI in two specific scenarios to indeed contribute with real-life case studies to showcase AI as a feasible approach towards meeting initially two and expanding to other SDGs. Machine learning is already contributing to improved diagnoses and treatment of diseases. Quicker accurate malaria diagnosis will enable faster delivery of clinical services to facilitate International Development Goals for the sub-Saharan African region and other regions of the World affected with malaria. The funding will be used to carry-out engineering (robotics), computational research (computer vision and machine learning) and digital health clinical research (pediatric infectious diseases) to design, implement, deploy and test a fully automated system capable of tackling the challenges posed by human-operated light-microscopy currently used in the diagnosis of malaria. The funded research aims to overcome these diagnostic challenges by replacing human-expert optical-microscopy with a robotic automated computer-expert system that assesses similar digital-optical-microscopy representations of the disease. The Fast, Accurate and Scalable Malaria (FASt-Mal) diagnosis system harnesses the power of state-of-the-art machine learning approaches to support clinical decision making. Driven by AI in each step, this allows for constant improvement and scalability. Improved smartphone processing also has potential to enable diagnostics “on-the-go” or in remote areas. As smartphone penetration increases, access to mobile diagnostics will expand, magnifying the effect of the improvements in smartphone processing enabling these innovations. Developments in machine learning can raise educational standards through improved educational apps, digital engagement, and personalised learning. The X5gon: Cross Modal, Cross Cultural, Cross Lingual, Cross Domain, and Cross Site Global OER Network project leverages AI to deliver personalized learning. This solution will adapt to the user’s needs and learn how to make ongoing customized recommendations and suggestions through a truly interactive and impactful learning experience. This new AI-driven platform will deliver OER content from everywhere, for the students and teachers need at the right time and place. X5GON will develop innovative services for large scale learning content understanding, large scale user modelling and real-time learning personalization with a main processing pipeline dealing with big data analytics in near to real time setting. X5GON analytics pipeline is not only relevant for OER but can be easily applied in other domains as well. The term Open Educational Resources has been introduced by UNESCO in 2002, and adopted OER as a strategy to meet its objectives in education.